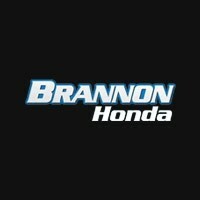 Birmingham’s Trusted Honda Certified Elite Express Service Department! Our Certified Technicians have over one hundred years of combined experience working on Honda cars, trucks and SUVs. We have the knowledge and know-how to fix it right the first time. Anything from oil changes to complete high mileage service and maintenance, we can get you back on the streets of Birmingham in no time! Fill out our After Hours Drop Form to drop off your car at any time! No Appointment Needed for Express Service! In addition to passing the rigorous Honda Certification Program, many of our factory-trained and certified technicians are also certified by the National Institute for Automotive Service Excellence (ASE) We use state-of-the-art equipment and tools designed especially for your Honda as well as genuine Honda Parts that are designed to keep your vehicle working at Honda’s high-quality levels. Your tires are what connect you to the road and the first line of defense for safety. If it’s time to replace your tires, check out our latest service specials to see our current promotions. We recommend rotating your tires every 3,000 to 5,000 miles, even if they don’t show signs of wear. Tire rotation can easily be done with oil change intervals. We will inspect the tires for any damage, remove stones or debris from the tire treads, check for uneven wear by checking the tire tread depth and of course, checking your tire pressure. Make sure and check with your service advisor to see how often you may need your tires rebalanced or aligned. This will vary by vehicle, tire type, and driving habits. Genuine Honda Air Filters are engineered specifically for your Honda to provide exceptional filtering efficiency, improved engine performance, and noise-dampening capabilities. They trap dirt and contaminants before they reach your engine, where they can cause wear and reduce performance. We will inspect your Air Filters at every service interval, but only recommend you replace your engine air filter every 30,000 miles or 36 months. Again, driving conditions and habits can shorten this cycle. Today’s sophisticated engine systems require a lubricant designed specifically for improved engine performance, increased fuel efficiency and reduced engine deposits. Many new Honda models are certified for a new zero weight synthetic lubrication standard (SAE 0W-20). Our 0W-20 oil is low-viscosity synthetic oil formulated to provide uniform lubrication and reduce friction throughout the engine. Lighter than conventional engine oil, 0W-20 evenly and uniformly bathes your engine’s moving parts, which means less wear and tear, better thermal stability, and increased engine efficiency.